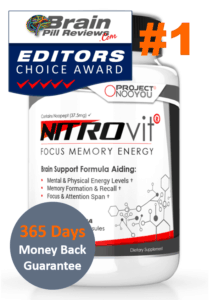 L-Tyrosine Review: An effective remedy for your memory woes? L-tyrosine, or otherwise known as tyrosine, is a non-essential amino acid which they have used by cells to synthesize proteins. The word tyrosine actually comes from the word tyros, meaning cheese in Greek. German chemist, Justus von Liebig has discovered Tyrosine from the protein casein, which he has found in cheese. To fully understand the effects of tyrosine, it’s important to understand what happens before and after when tyrosine synthesizes. 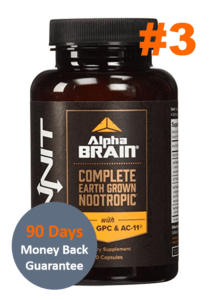 Tyrosine actually begins with the amino acid phenylalanine, which is an amino acid that can be found in eggs, soybeans, and other vegetable products. Phenylalanine then turns into tyrosine, which then converts to L-DOPA. L-Dopa then is converted to dopamine, which later turns into noradrenaline and adrenaline. Tyrosine’s precursor phenylalanine is an amino acid which you can find naturally in breast milk. One interesting thing to note is that people with the genetic disorder phenylketonuria are unable to physically metabolize phenylalanine and therefore they may take tyrosine as a supplement. Phenylalanine converts to tyrosine, which then converts to L-DOPA through the process of biosynthesis. L-DOPA is the precursor to dopamine, noradrenaline and adrenaline. L-DOPA is the precursor to dopamine, noradrenaline and adrenaline. Dopamine is an organic chemical that functions as a neurotransmitter, which means it is a chemical that goes between nerve cells and conveys information. Dopamine plays an important role in our mind’s reward system, meaning it reinforces certain behaviours that come with rewards. Noradrenaline and adrenaline function as a hormones and neurotransmitters that mobilize the body and brain to take an action. They have released during the well-known fight or flight response and causes the blood to flow more quickly, the heart to race and pupil to dilate. People take tyrosine to treat the symptoms of stress. 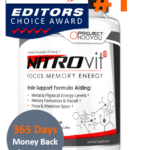 Tyrosine prevents a cognitive function decline that often follows physical or mental stress by arousing one’s senses in order to improve alertness when sleep deprived. This is especially of interest to the military, where soldiers often must endure intense and repeated levels of stress. 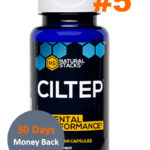 However, tyrosine is thought to alleviate the effects of stress in ordinary people to experience stress in their everyday lives and it is for this reason many take tyrosine. 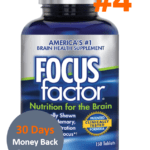 Tyrosine is also used to treat attention deficit hyperactive disorder (ADHD), by allowing that person to focus and hone in on information, and create and maintain memories more easily. And finally there is some proof that tyrosine may reduce the symptoms of depression. The NOW company sells l-tyrosine as a 500 mg 120 capsule bottle. The price was $10.27 (USD), which is actually a pretty good deal. The Vitamin Shoppe sells tyrosine as a 500 mg 100 capsule bottle for $9.99 (USD). 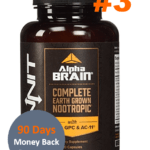 Overall, the price of tyrosine appeared to be the same no matter the brand, and it appeared pretty easy to buy online or in most supplement shops or pharmacies. Most supplements we found appeared to be trustworthy, although it might be better to buy from a better known brand. 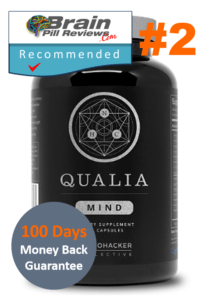 There is a lot of scientific research behind the benefits of tyrosine, so it made us feel we could actually benefit from taking it. Tyrosine supplements are pretty cheap and appear relatively safe to take. 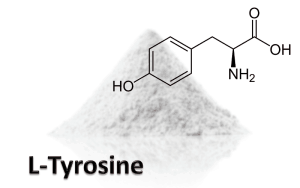 Tyrosine may not be as effective as you may hope, since every body digests it differently. So you may have to take a lower dose for a longer period of time in order to see results. Tyrosine is an amino acid that naturally occurs in our bodies. 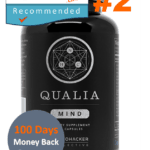 However, taking it as a supplement may provide you an extra boost of dopamine, noradrenaline and adrenaline, which may give you a greater ability to concentrate and focus.